One of my other hobbies (hiking/backpacking) takes me to some locations that are a little more off the beaten path as far as the warbird movement goes. When I travel, I try to time my breaks to incorporate planes on poles or other displays. It's always fun to explore these areas and see what they have to offer, with the bonus of seeing a warbird. I recently spent some time in Michigan and was able to check out a few displays. 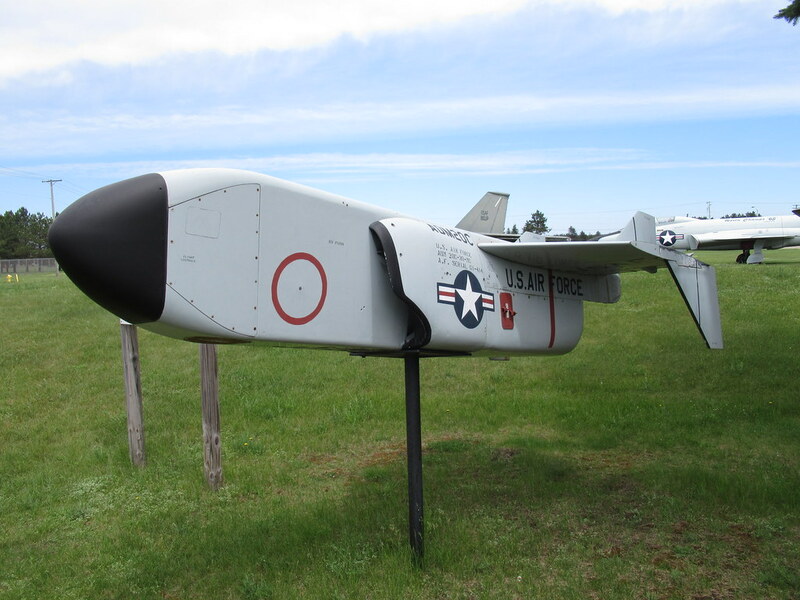 The first stop was the outdoor display at the former KI Sawyer AFB in Gwinn, MI. 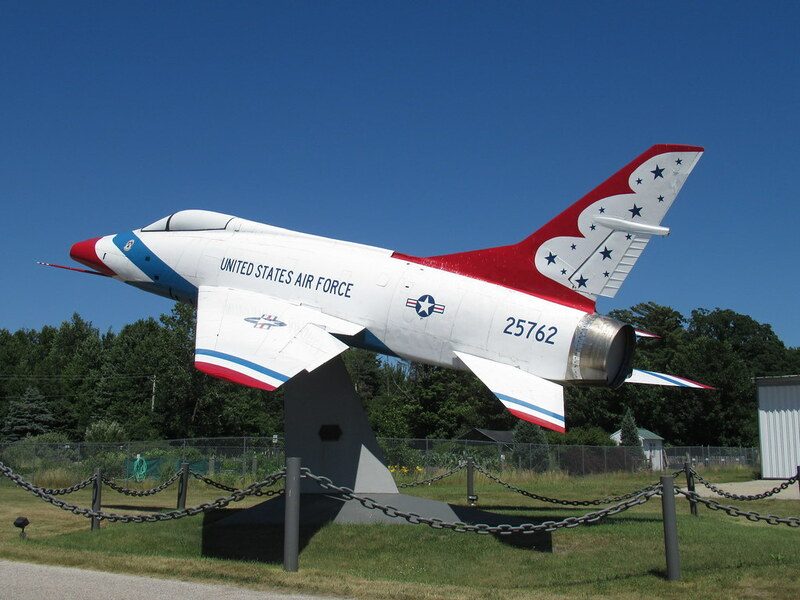 Aircraft based on Sawyer over the years included F-101, F-102, F-106, B-52 and KC-135. 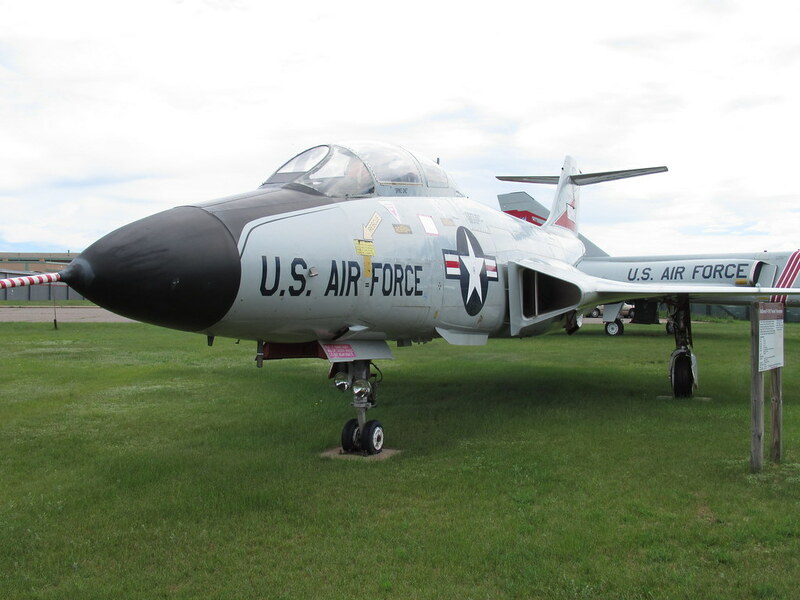 The outdoor display area includes a F-101, F-106, B-52 and FB-111. 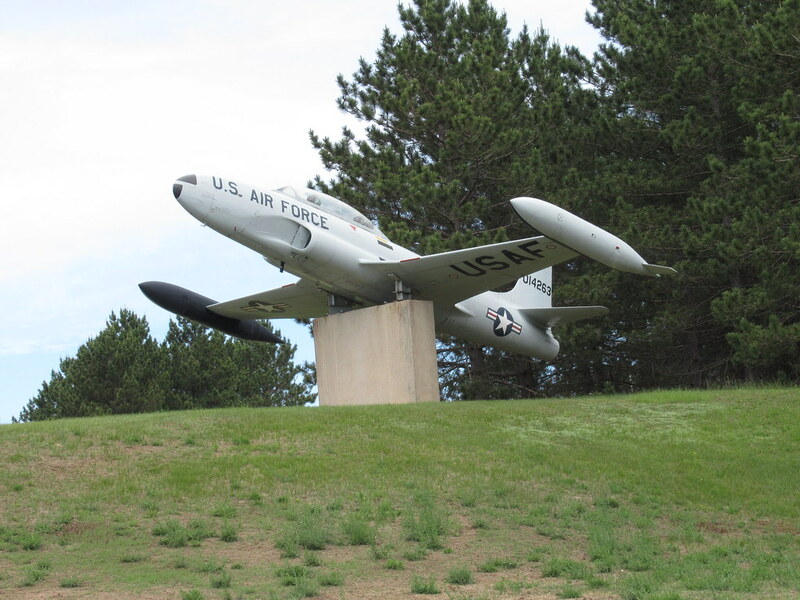 There is also a T-33 displayed elsewhere. I was surprised at the condition the aircraft are in given the harsh weather they are exposed to. They are obviously very well cared for. There is also apparently an indoor museum, but I didn't see it when I was driving through and wasn't motivated to find it. 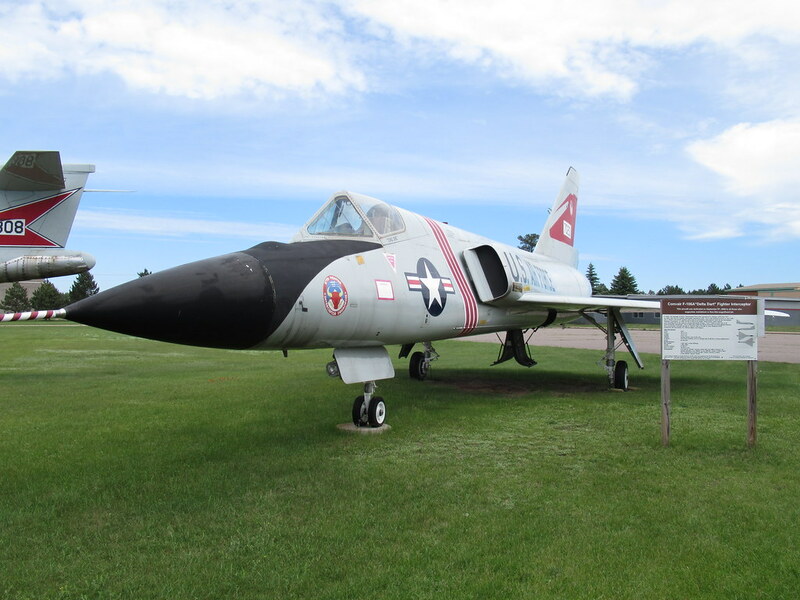 The F-106 actually served at Minot AFB but is painted as a Sawyer bird. 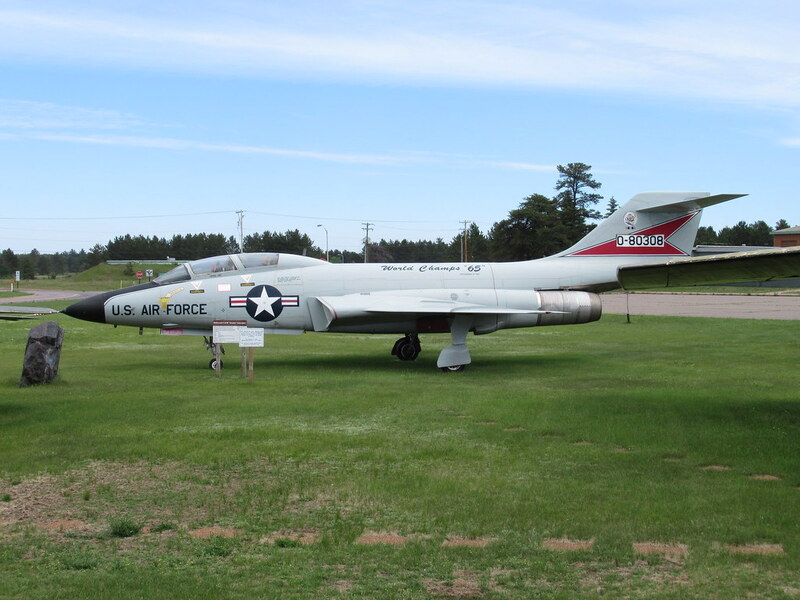 The F-101 wears 62nd FIS colors. 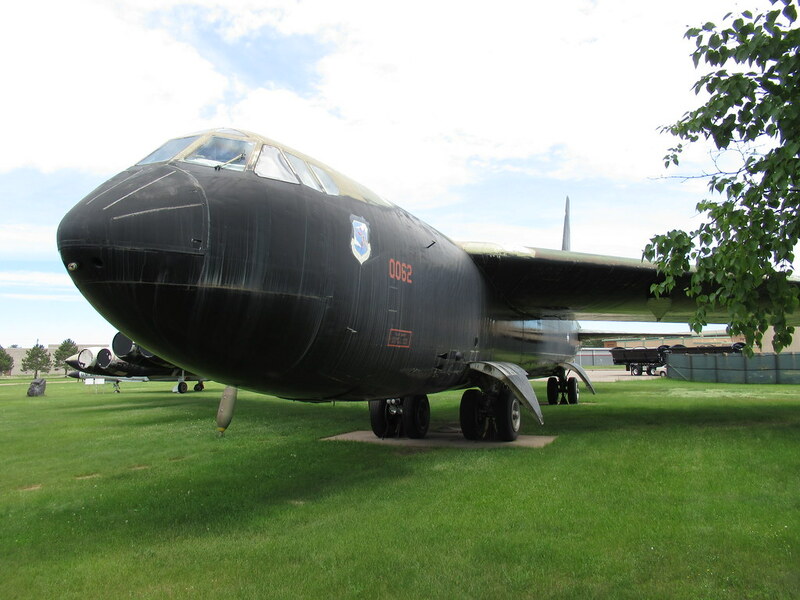 The B-52D was once stationed in Guam and flew missions over North Vietnam. 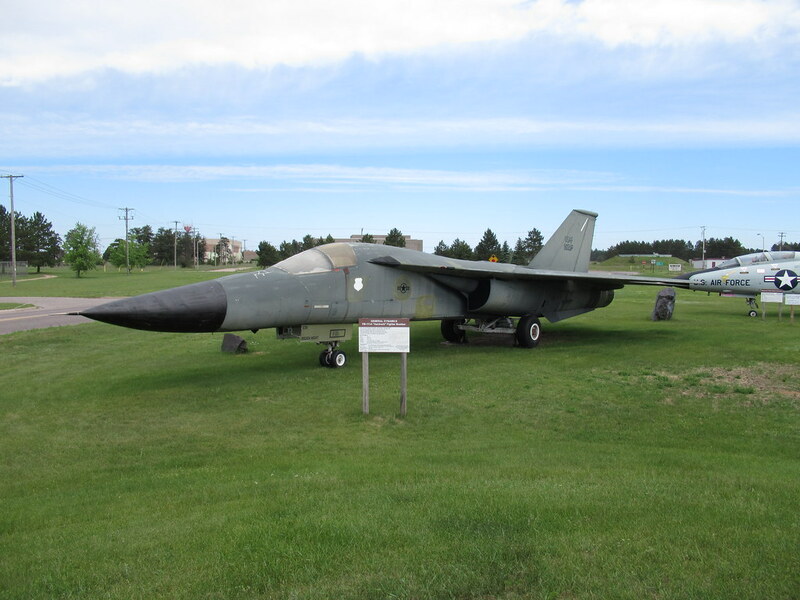 This FB-111A actually served on satellite alert at Sawyer in the early 1970s. A surprise on the ramp at Sawyer. I have no idea what the story is here. 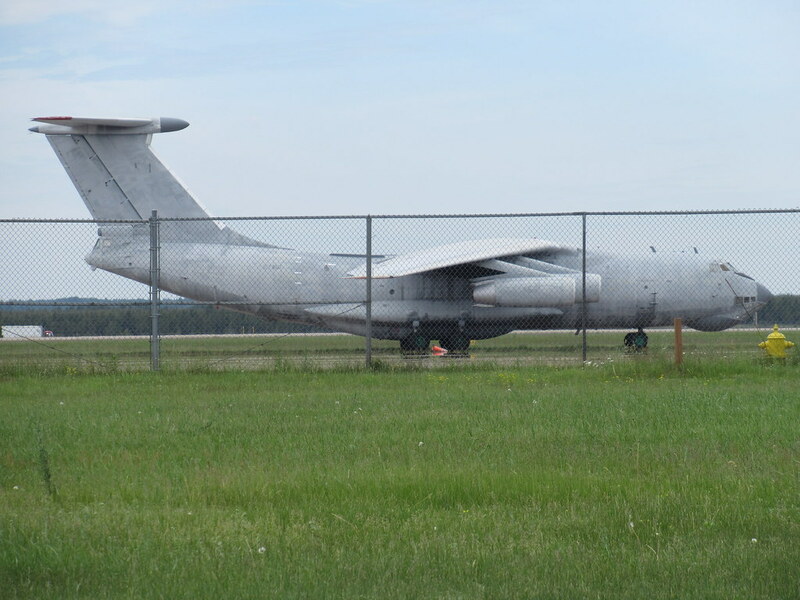 I would have loved to have gotten a better look, but there were no easy places to park or get closer. T-33 elsewhere on the grounds. 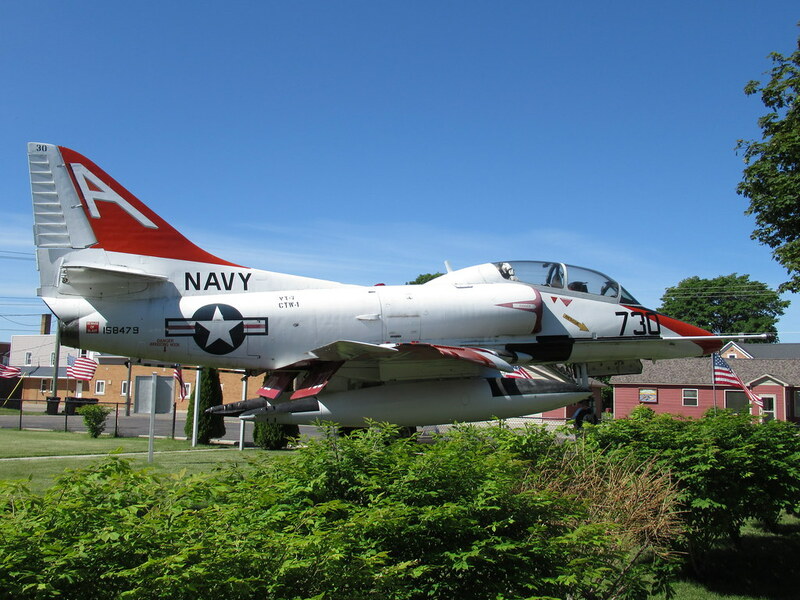 This TA-4J Skyhawk is displayed at the Delta County Veterans Memorial in Gladstone, MI. 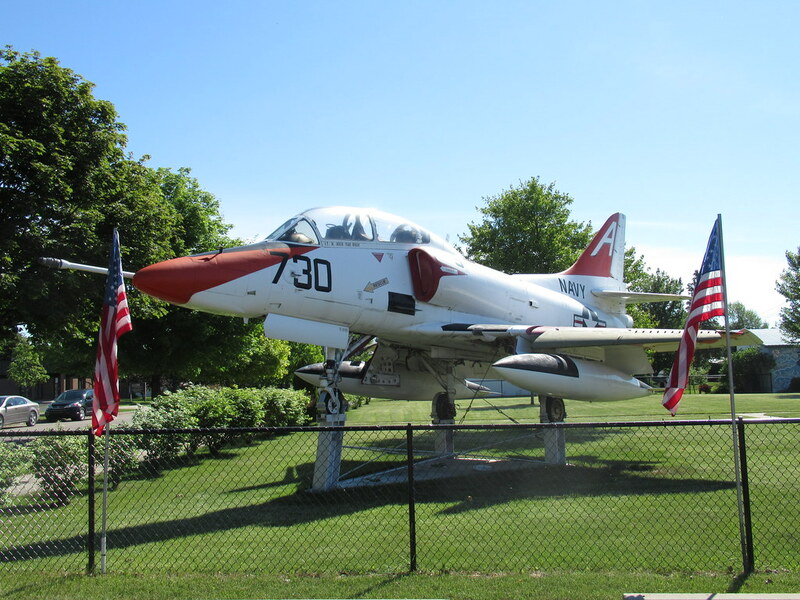 F-84F at the entrance to Delta County Airport in Escanaba, MI. 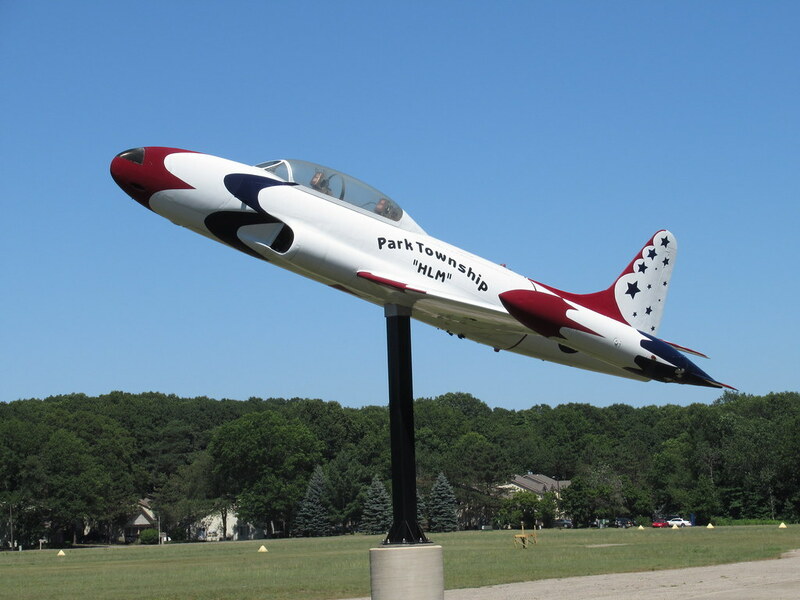 On a separate trip in West Michigan, I stopped to see the F-100 in Grand Haven, MI and the T-33 at Park Township Airport in Holland, MI. The 101 and 106 indeed look great. Good job up there! My dad was the DCM - deputy commander for maintenance - for the 87th when they were at Duluth prior to their move to Michigan. 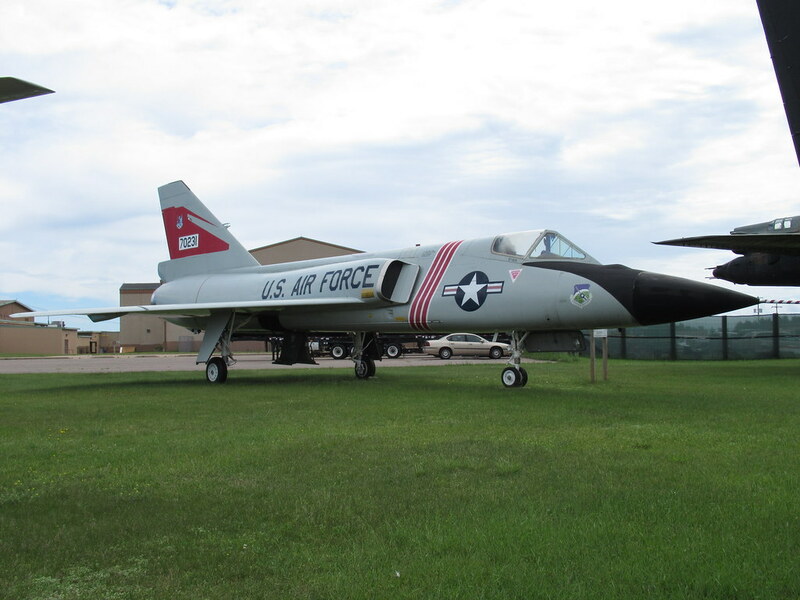 Nice to see a F-106 in their colors. Hehe..that article's from nearly a decade ago, but I see the plane is still there. I'm assuming its condition has gone downhill and it's unlikely to fly again. Probably eventually be cut up I would imagine. 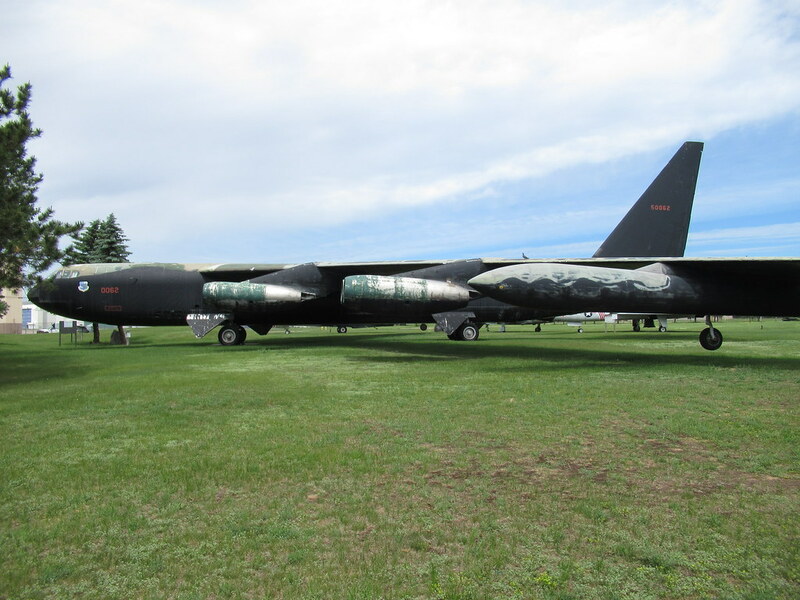 We were in Marquette on vacation a couple of years ago..beautiful little town, but I didn't make it out to the aircraft at Sawyer. 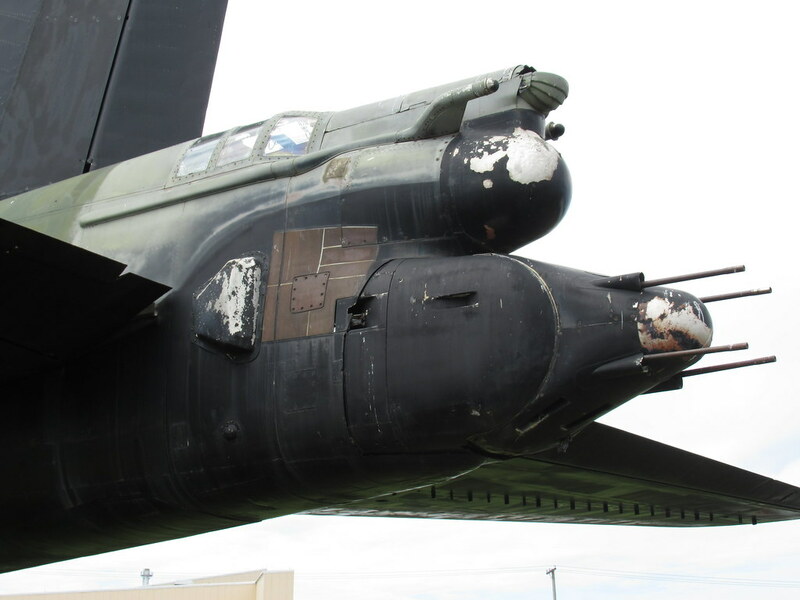 That BUFF could definitely use a fresh coat of paint, but of course caring for an aircraft that size is a monumental task, and monumentally expensive! 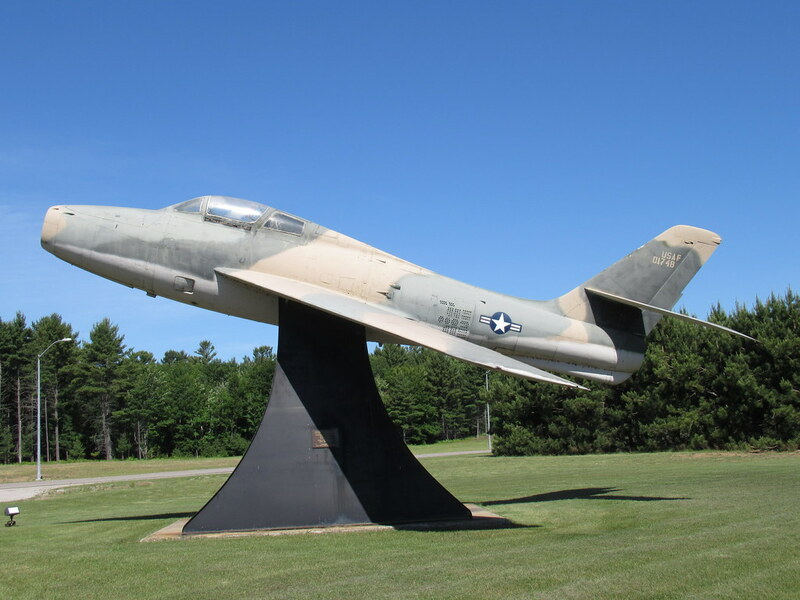 The Escanaba F-84F was flown in on its last flight, which was on 20 August 1971.